Do you like electronic music? Yes? Good. Ever thought of creating or mixing this music yourself and feel like the next Tiësto or Armin van Buuren? Check. But do you have the equipment to get started? No? Then read on! 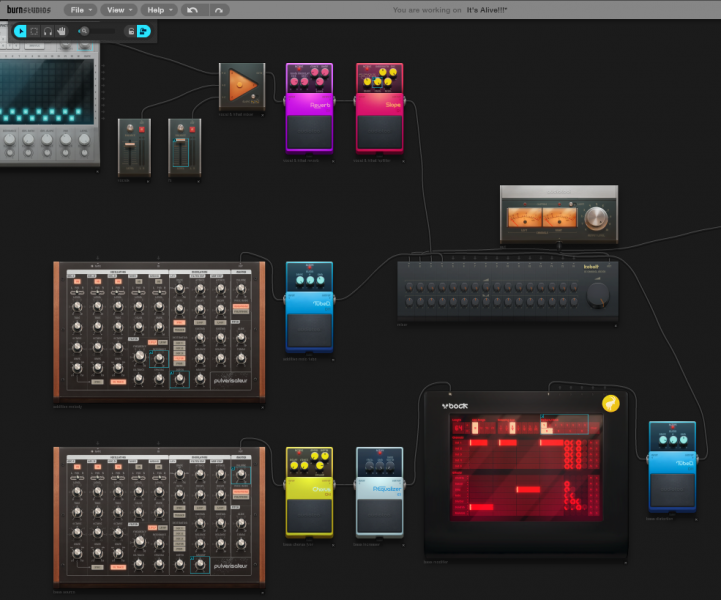 Audiotool is a music creation and mixing tool that works right in your browser. It is a Flash-based web application. Just visit Audiotool’s website, start with a blank workspace or choose a template and get started. You have all kinds of electronic instruments, samples, editors, effects and mixers at your disposal. Any device or effect that you need can be dragged to the desktop and wired up like you would do with these kind of devices in real-life. Can’t find a sample you like? Then import your own samples. Tracks can be saved as private projects or remixes to your free Audiotool account. If you feel confident, you can share your work on the site so other users can download it, remix it, or it can end up being played on Audiotool Radio. Click the screenshots below to view them full-size. WOW – That is an amazing interface, complete with all your favorite toys. I can’t wait to try it out at home tonight. Thanks for recommending. And thanks for the ‘Like’! Hey, I can’t even start audiotool, can someone help me out? Audiotool needs a Flash plugin in your browser. Please check if you have Flash installed correctly on your computer. If you are trying to use Audiotool on your iPad or iPhone, then you are out of luck: both the iPad and iPhone don’t support Flash so Audiotool will not function on these devices.